KANSAS CITY, Mo. 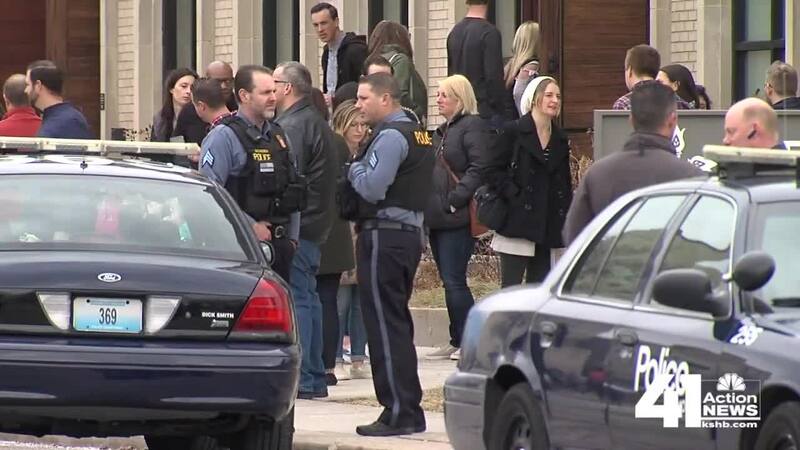 — Officers with the Kansas City, Missouri, Police Department shot the suspect from a reported carjacking near 40th and Walnut streets near the Midtown Baptist Temple on Sunday morning. KCPD received a call about the carjacking around 9:15 a.m. after a man allegedly ordered a woman to get out of her vehicle and said he had a gun before church security personnel intervened. "I didn't know what was going on," said Doug Lasotta, who was working security for Midtown Baptist Temple. "I just headed down there because I thought it was not right." Lasotta noticed a man trying to get into a woman's car. "Obviously, he was trying to do something," he said. "She put her car in reverse and started reversing down the street so I pointed at him, can I help you? You know what's going on?" That's when the suspect ran across the street and headed towards Redeemer Fellowship near 39th St. and Baltimore Ave., which is where arriving KCPD officers encountered the suspect. It's also where the suspect fought officers as they attempted to take him into custody then attempted to pull an officer's gun from its holster, according to the KCPD. The assisting officer then shot the suspect, who police said is in stable condition at an area hospital. "He shot him twice," Lasotta said. "The guy went down on the ground and that took the fight out of him." No KCPD officers were injured in the incident. Officer Darin Snapp, who is one of KCPD's public information officers, said shooting a person is an officer's last resort. "This is something we want to go though our whole careers hoping we never have to pull our gun, let alone shoot somebody," Snapp said. Detectives interviewed witnesses and planned to review surveillance video from the area. Midtown Baptist Temple may ramp up security after this latest scare. "After today, I think it's kind of changed our minds on we might go the armed route now rather than the unarmed route," Lasotta said. Church services at the nearby Redeemer Fellowship were not impacted by the carjacking or the officer-involved shooting.